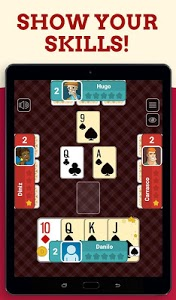 Euchre is a classic trick taking card game, similar to Spades and Hearts. 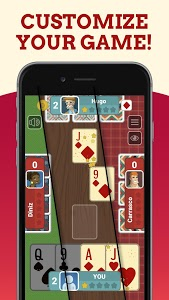 It's widely played in the United States, where it's also known as Bacon or Uker, and in other English speaking countries. 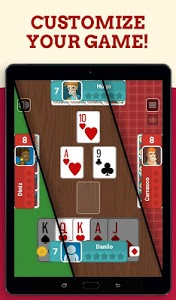 In Euchre Free Classic Card Game you play with 3 other players, forming 2 teams, and the deck in play consists of the 9, 10, J, Q, K and A cards. 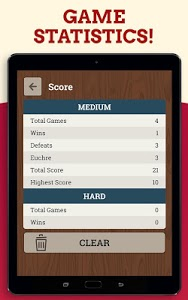 There is always a trump and your objective is to score 10 or more points. 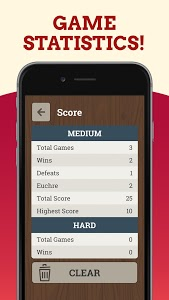 You get these points in matches with 5 tricks, where the team that scores the most points and tricks wins. 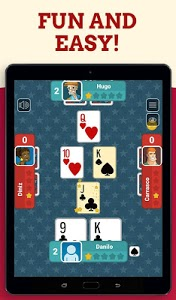 Play Euchre or Uker! 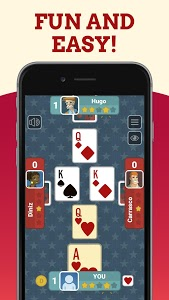 In Euchre Free: Multiplayer Card Game, you play just like in real life, choosing between accepting the trump, passing or changing your cards, playing the match with your partner or going alone. 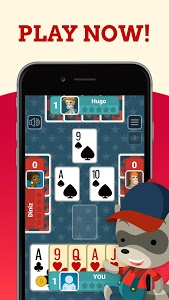 Play the best cards and use the trumps wisely to win the tricks. 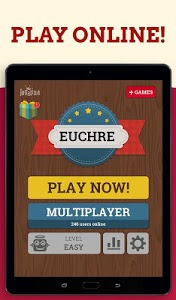 It's Euchre Free or Uker Free! 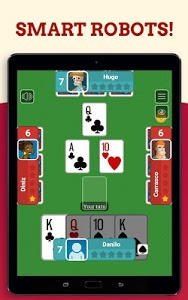 Do you like multiplayer card games? 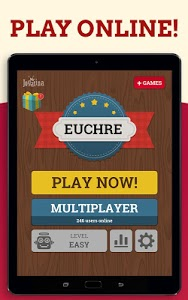 So download now: Euchre Free: Multiplayer Card Game! 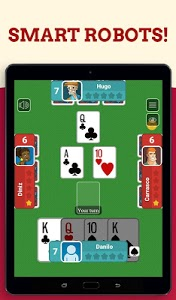 • You can also play the multiplayer online game. 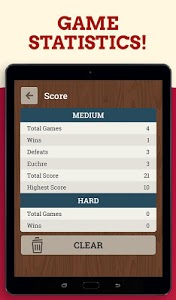 • Autosave: restart the game from where you stopped. 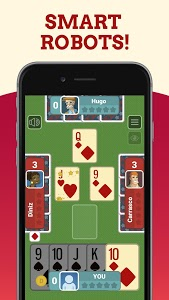 The best card game! 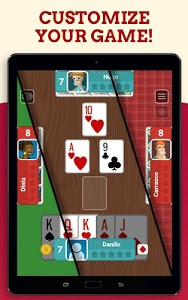 • 100% free card game, with unlimited matches. 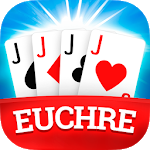 Download Euchre Free: Multiplayer Card Game now and get ready for hours of fun with this classic card game Uker. 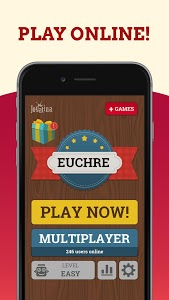 And don’t get euchred! Play Euchre or Uker! 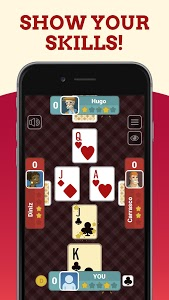 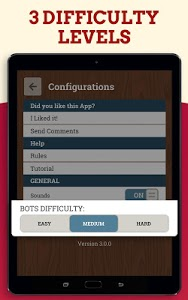 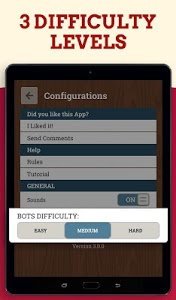 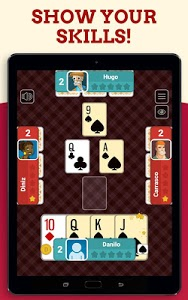 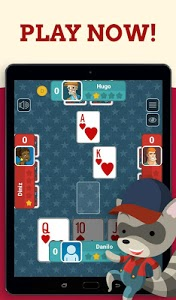 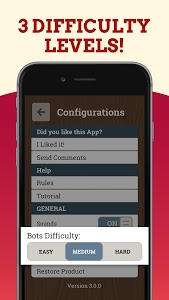 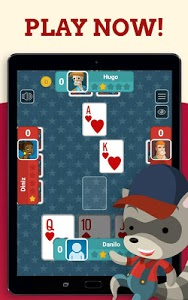 Similar to "Euchre Free: Multiplayer Card Game"